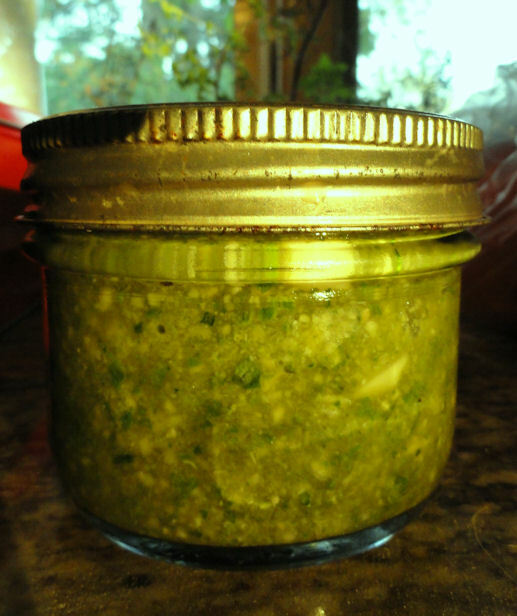 Cooking in someone else's kitchen: Hooray, pesto! I wish I liked pesto. I wish snails didn't like basil. You've already got basil up! I'm so jealous. I just put some lemon basil seeds in the ground this afternoon. I find lemon basil makes a wonderful pesto. Tried it last year with macadamia nuts, recommended because they are almost as good as pine nuts and cheaper but was not impressed with the flavor. Tried walnuts once but found it very bitter. Hi Lisa - I sowed them indoors in April and then transferred them to our hoop house in early May (I know growing things under plastic is cheating, but having that bit of extra protection really makes a difference!). Lucy - we're incredibly lucky in not having big slugs and snails here. Only 50% of our family like pesto - or herbs generally for that matter. It makes cooking a meal that we'll all enjoy rather frustrating!